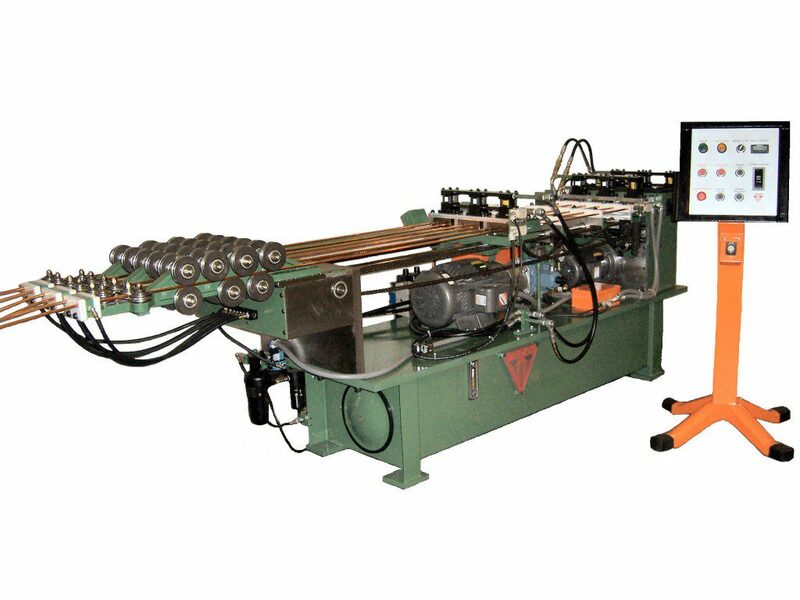 Straighteners are used to straighten tubing from coils or rolls. Also, straighteners can usually handle end forming as well. Tubing straighteners are used in a variety of fields. Fields such as aerospace, medical, surgical applications, and consumer electronics to name a few. In addition, most straighteners can handle a different array of size tubes. Also, depending on the model, handle many tubes at once. Tridan International’s tubing straighteners are designed to save setup time. They also help reduce scrap, lower downtime, and create a consistent product time after time. Although we have a large selection of tubing straighteners, such as the STMBC, STMC, and the STQC, one of our popular brands is the STVC model. The Tridan model STVC can handle copper or aluminum coiled tubing. Also, the STVC system is fully integrated withTube Straightening, Sizing, Lubrication Section, and a chipless Tube Cutoff Section. This machine can handle any workload and give you the professional results you have come to expect from a Tridan product. Another nice feature of the STVC is the fully automated control system, but of course, you can manually control it as well. At Tridan International, we sell to clients all over the world. Our products have become the industry standard for any type of fin production, tube fabrication, coil expansion, and microchannel tube processing. We offer top notch customer service and always deliver the quality products that you deserve. Our machines are built to last, of course, if your Tridan machine needs parts or service feel free to contact us today. We have been in the business since 1966, and we are dedicated to providing our clients with durable machinery solutions. If you would like to learn more about tube straightening or the Tridan company, give us a call at 217-443-3593. Our experts are always willing to answer any questions you might have.